Mrs. Abiodun Olajide was born on April 18, 1956 in Oke-Agbe, Akoko, Ondo State. She attended University of Lagos, Lagos where she obtained N.C.E. (English & Yoruba) in 1980 and also B.A. (Ed) Yoruba in 1984. She proceeded further to University of Ibadan, Ibadan. Where she obtained MLS (Library Studies) in 1987. 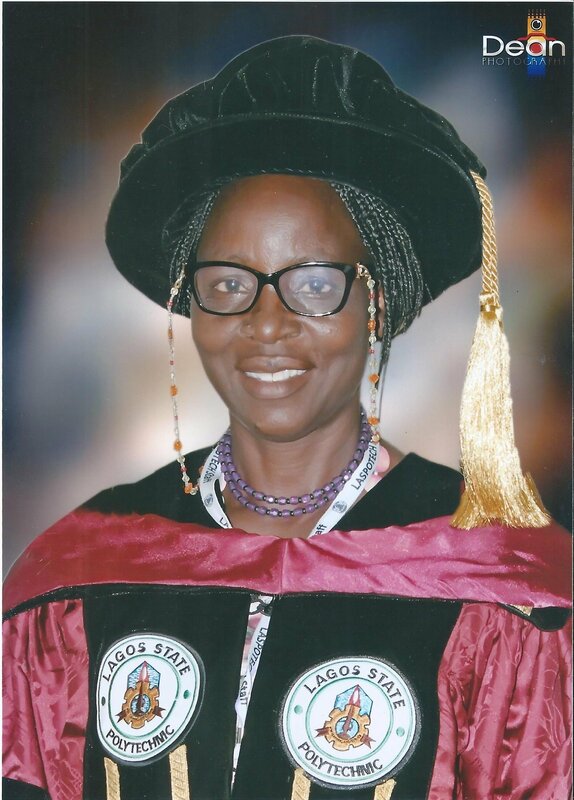 Current Treasurer, Academic & Research Library Section of Nigeria Library Association. Giving advice to the Students, Lecturers and other researchers in the area of their interests.